Nicolas reveals such a deft touch on this track. I edited out only 11 seconds, but listen to whole song below to put it in perspective. The best part is clearly the sample at the 0:06 second mark on the edit. I can’t pick out the instrument, it sounds like a guitar but run through some compression and other effects. He uses is so sparsely, that it’s always a nice surprise when it drops in. That’s so much better than spoiling us with it, which would have been so easy. I chose the 1:06 mark because that’s the 2nd time you hear it, you start to wonder if it was a one off. 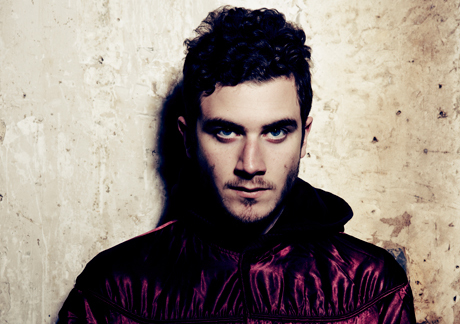 Read up more on Nicolas Jaar here.